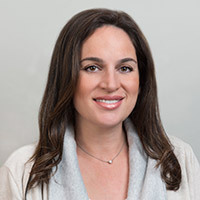 Shirley Kahen is a Licensed Clinical Social Worker with extensive academic and field experience in the field of individual, couples and family counseling. Shirley earned her Bachelor's Degree in Psychology from University of Maryland at College Park in 1998 and her Master's Degree in Social Welfare from UCLA in 2001. In 2006, Shirley was accredited as a Licensed Clinical Social Worker by the California Board of Behavioral Sciences. Shirley has extensive experience in the field of Geriatric Social Work. From 2002-2009, Shirley was the Program Director of a leading Adult Day Health Care center in West Los Angeles. She developed specialized programs for the elderly and disabled Persian community with Jewish Family Service of Los Angeles. Shirley has participated in research with the Department of Defense in the field of Occupational Stress. In her tenure, Shirley studied the effects of stress on US soldiers deployed overseas such as Gulf War Illness & sleep deprivation.